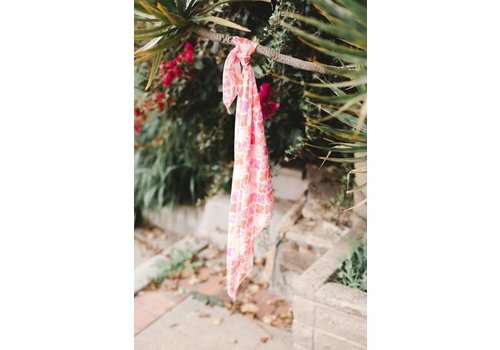 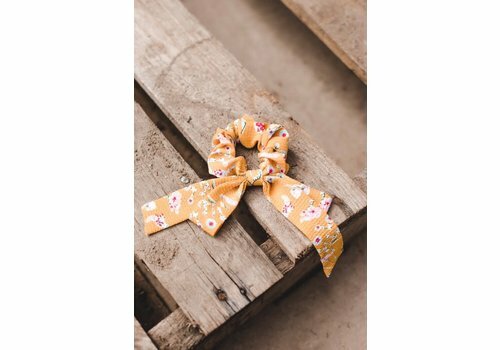 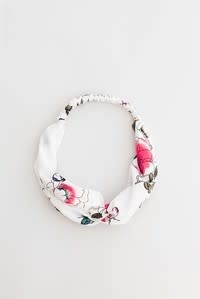 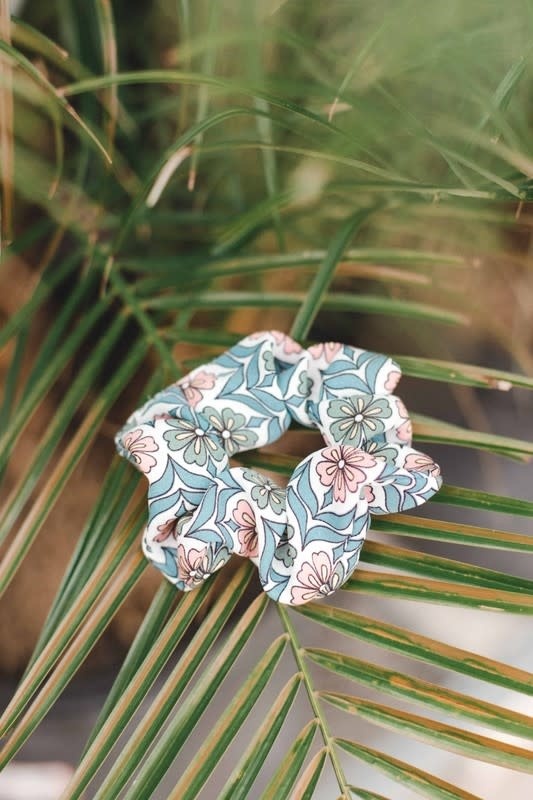 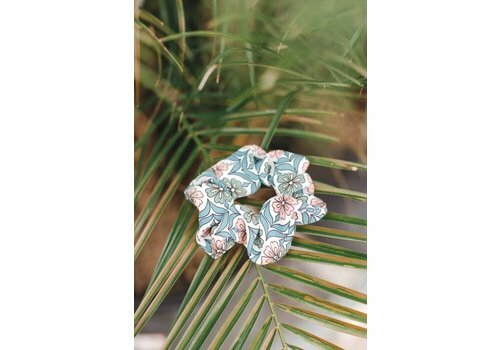 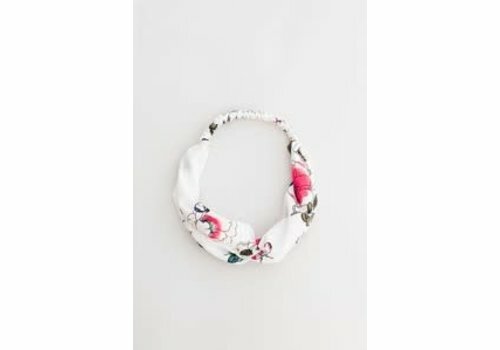 White & rose floral print turban headband. 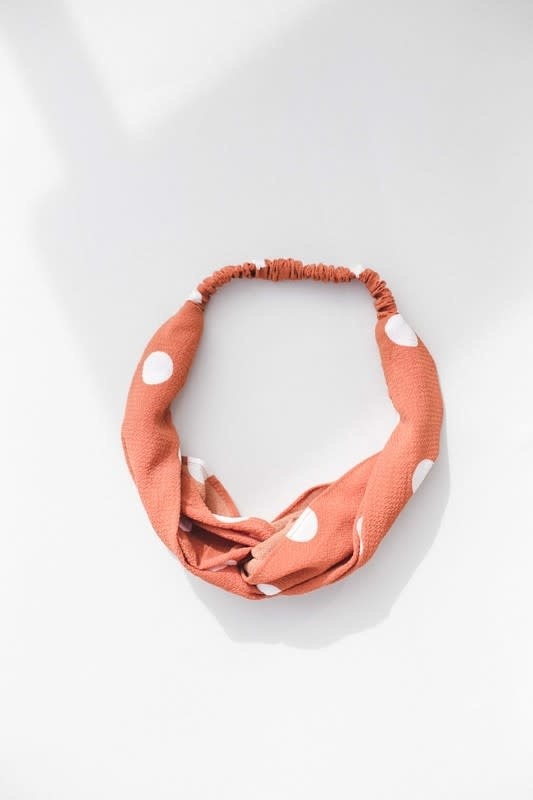 One size fits most adult. 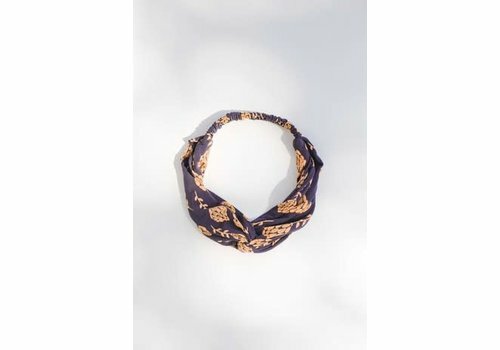 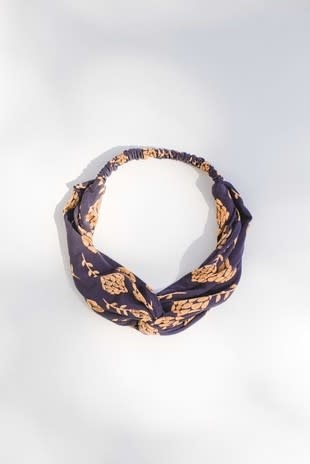 Navy cotton turban headband with cute, little artichoke print. 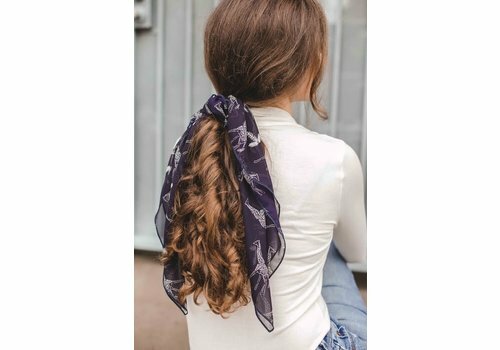 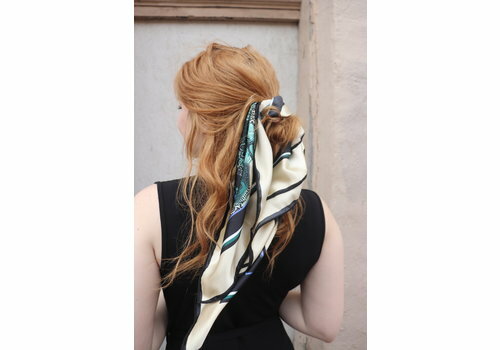 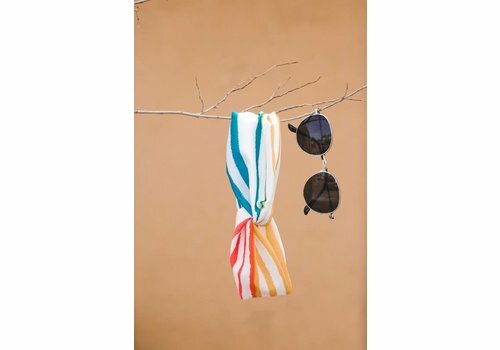 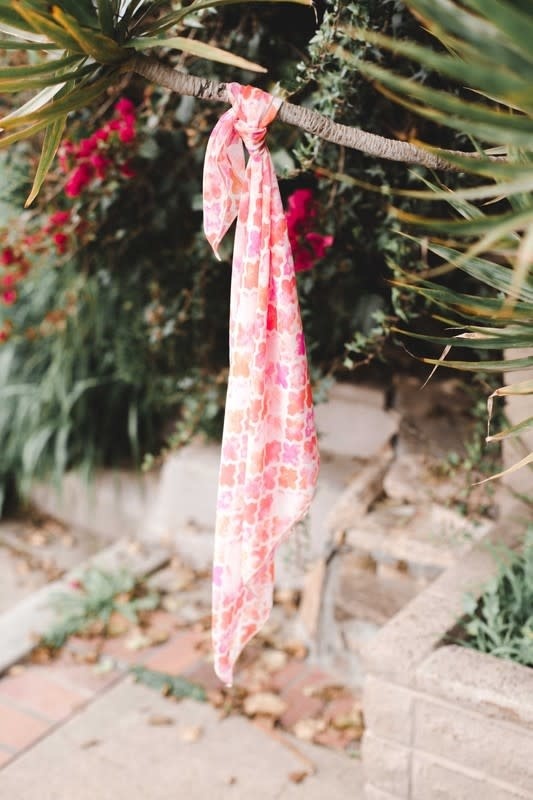 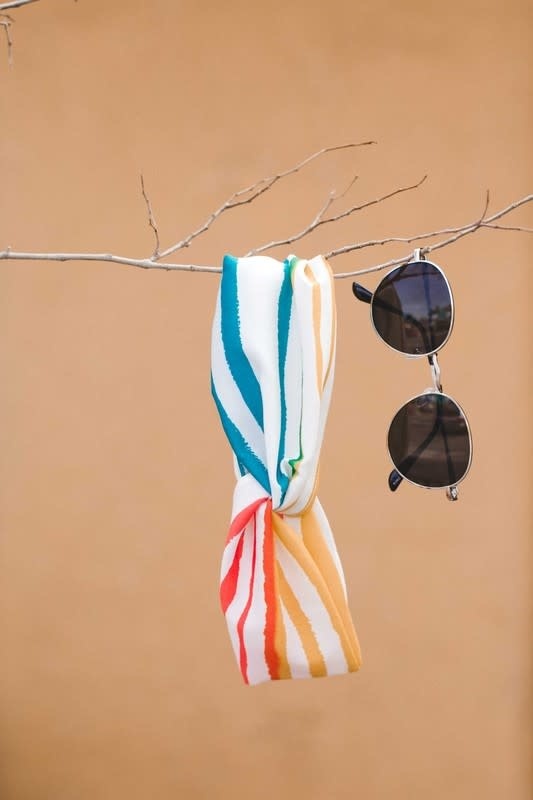 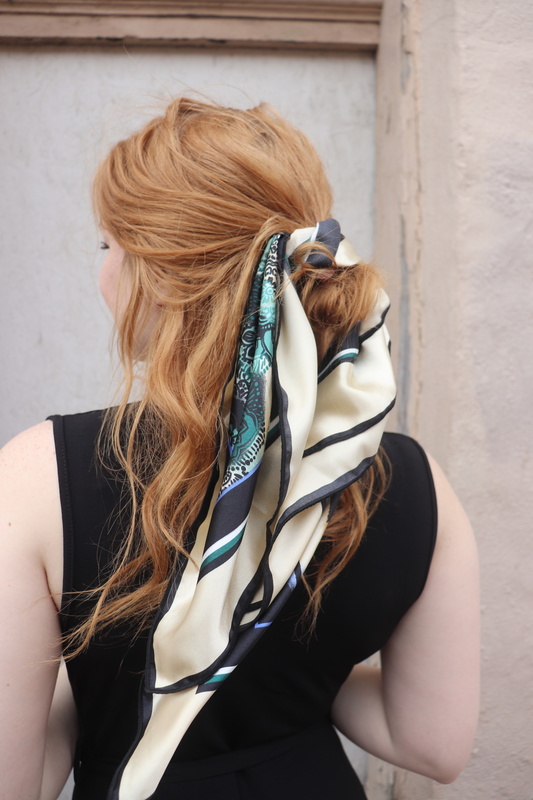 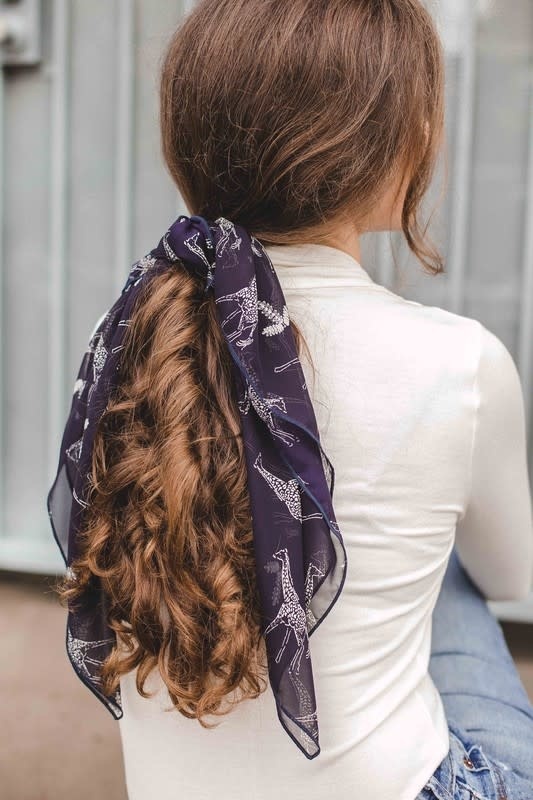 27" hair scarf with so many ways to style! 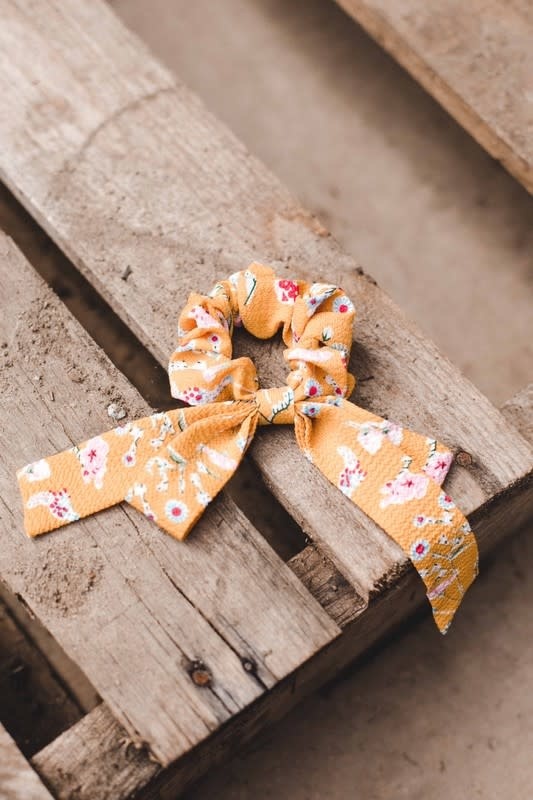 Check out our instagram with all the tutorials! 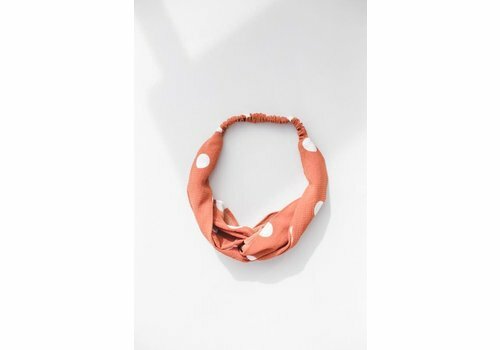 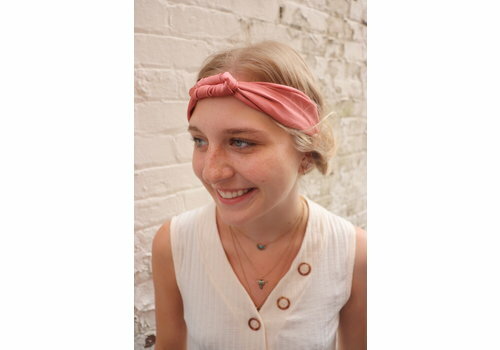 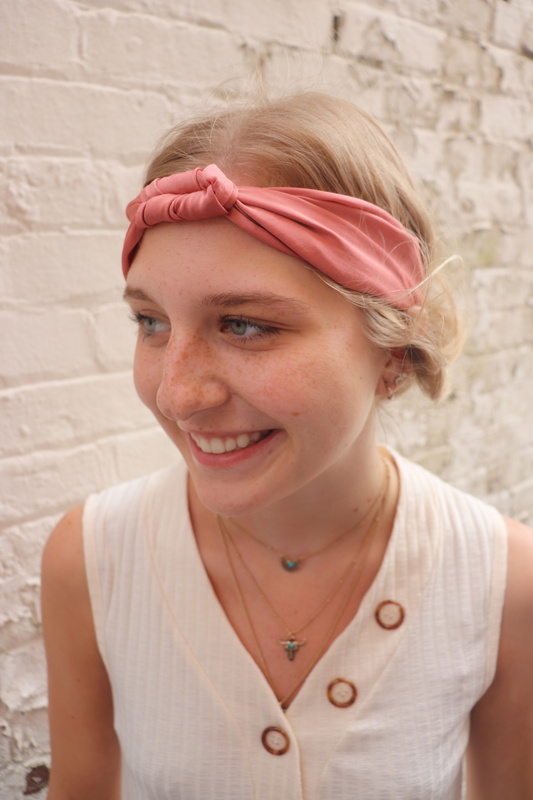 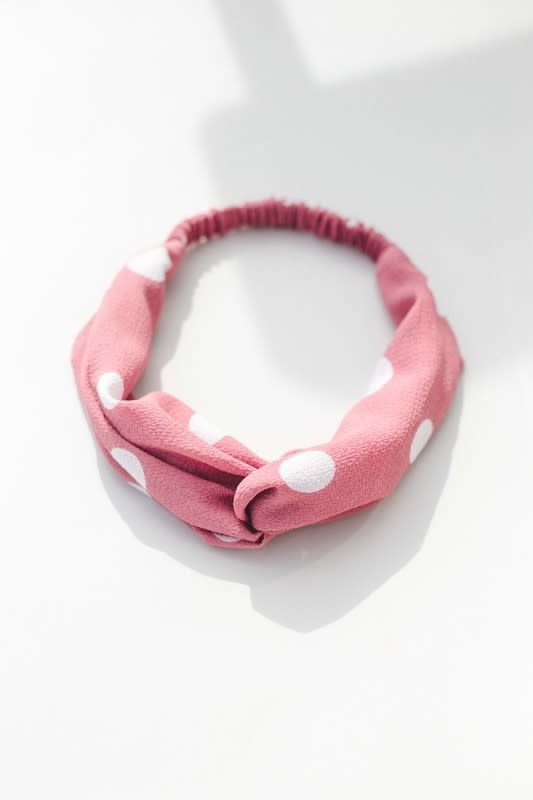 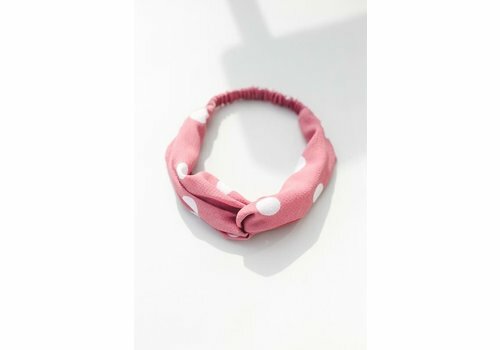 Salmon pink & white polka dot turban headband. 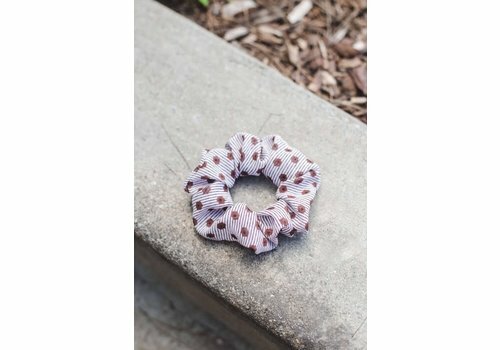 One size fits most adult. 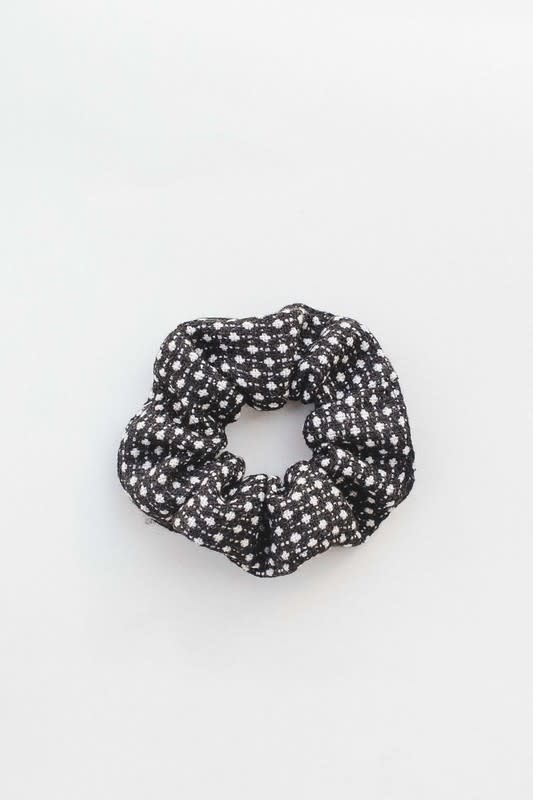 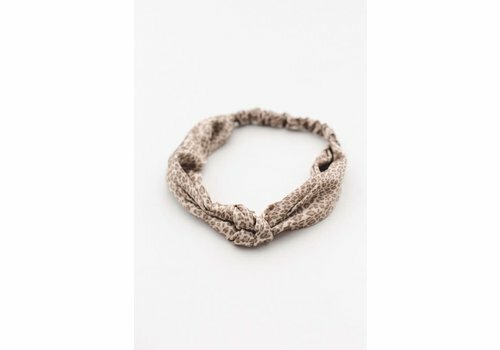 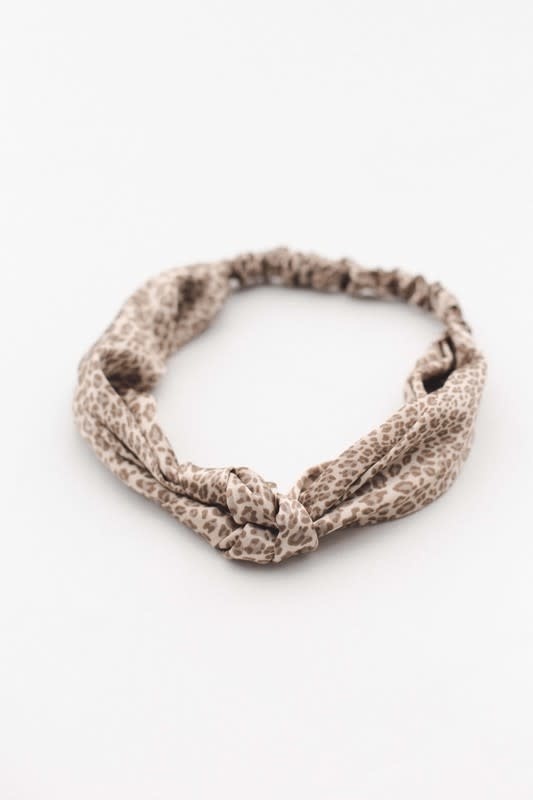 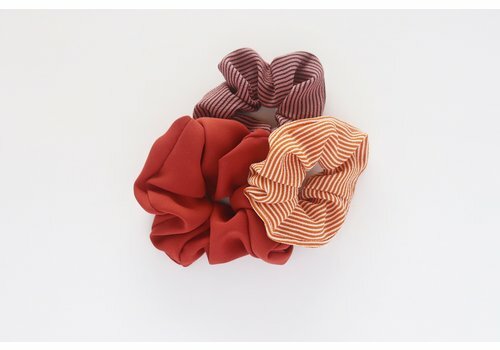 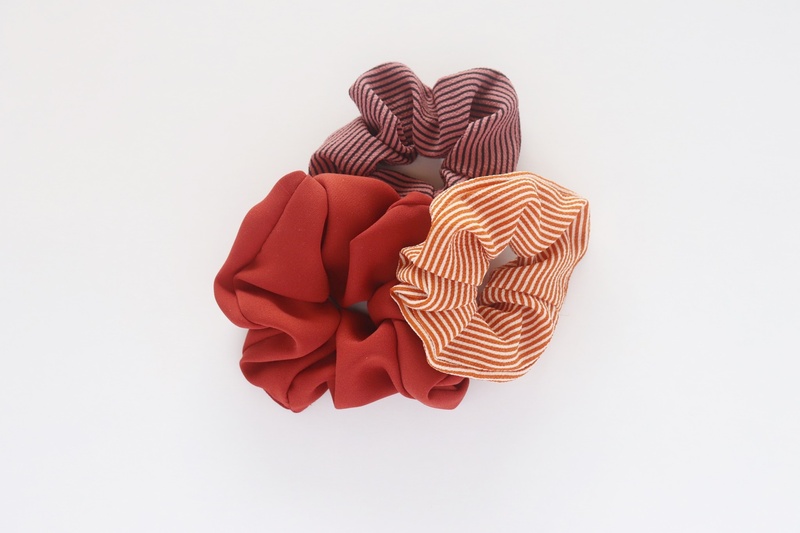 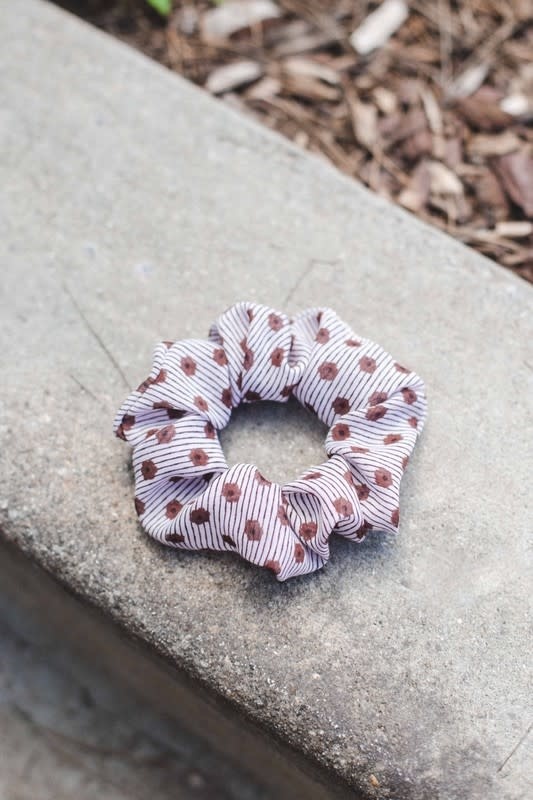 Adorable animal print turban headband with a cute center knot.